Made in Hungary, in 1960. It was the second product of „Telefongyár” company. (The first was the Terta 811). The electronic unit has planned by Gustav Grosics. He was the world-famous hungarian football goal-keeper, Gyula Grosics’s brother. The TERTA 922 was the most beautiful, „tipical” hungarian machine. It has won „aesthetics award”. 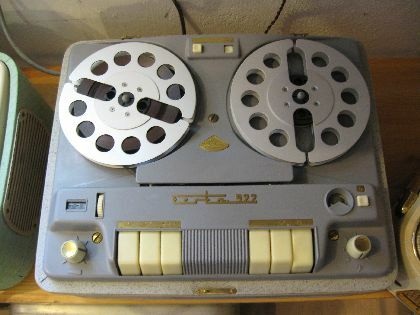 It was the first hungarian tape recorder, wich has made with Integrated Circuit (IC).